Rediff.com » Movies » Like the new poster of MS Dhoni: The Untold Story? Like the new poster of MS Dhoni: The Untold Story? 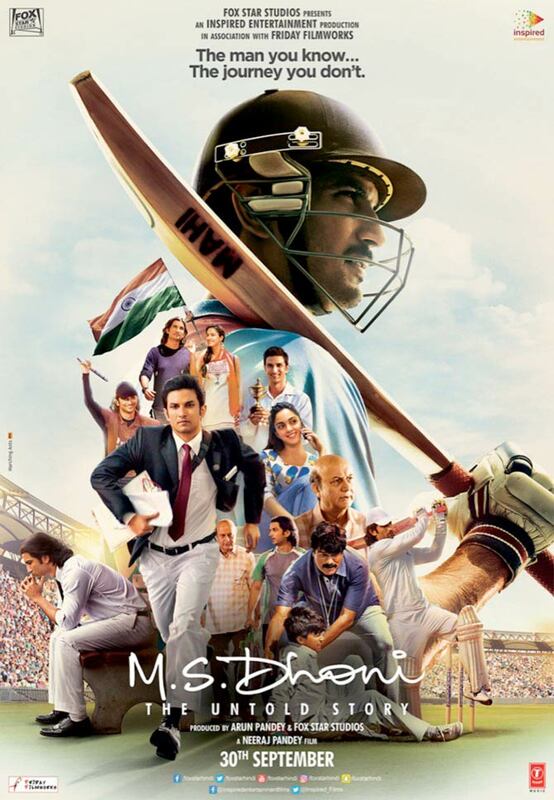 Kiara Advani, who plays the female lead in MS Dhoni: The Untold Story, took to Twitter to share the latest poster of the film. Starring Sushant Singh Rajput in the titular role, the film is directed by Neeraj Pandey and also stars Anupam Kher, Disha Patani and Bhumika Chawla. Priyanka Chopra recently did a photoshoot for a glossy magazine. PeeCee, who was last seen in Jai Gangaajal, will also make her big Hollywood debut next year with Baywatch. Dil Se completes 18 years! Preity Zinta, who made her debut with Dil Se, got nostalgic when the film completed 18 years. Sharing this collage on Instagram, the actress thanked her co-stars and director Mani Ratnam. 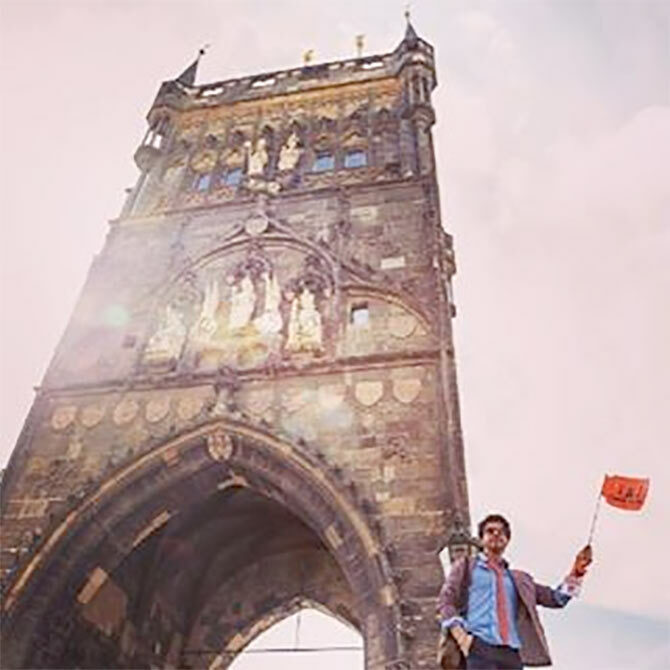 Meanwhile, her Dil Se co-star Shah Rukh Khan shared an on-location picture from his next, directed by Imtiaz Ali. The film co-stars Anushka Sharma. Sonu Sood has turned producer. The Dabangg baddie announced the good news on Twitter along with this picture. The film stars Sonu opposite Tamannaah Bhatia. Sonakshi Sinha recently visited the reality show Dance Plus 2 to promote her new film Akira. Directed by AR Murugadoss, the film stars Anurag Kashyap in a negative role. Akira releases on September 2. 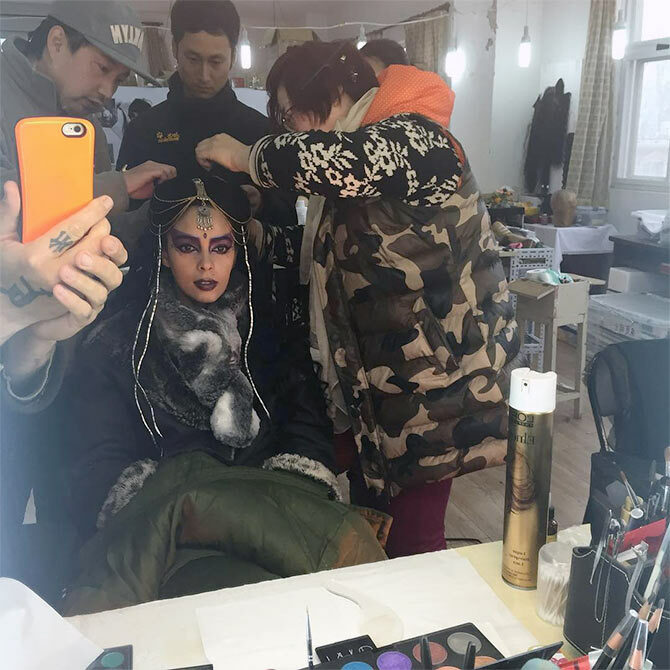 Mallika Sherawat, who starred in the Chinese fantasy-action-adventure film Time Raiders, shared a throwback from picture from the sets on Instagram. Directed by Daniel Lee, the film released in China on August 5. 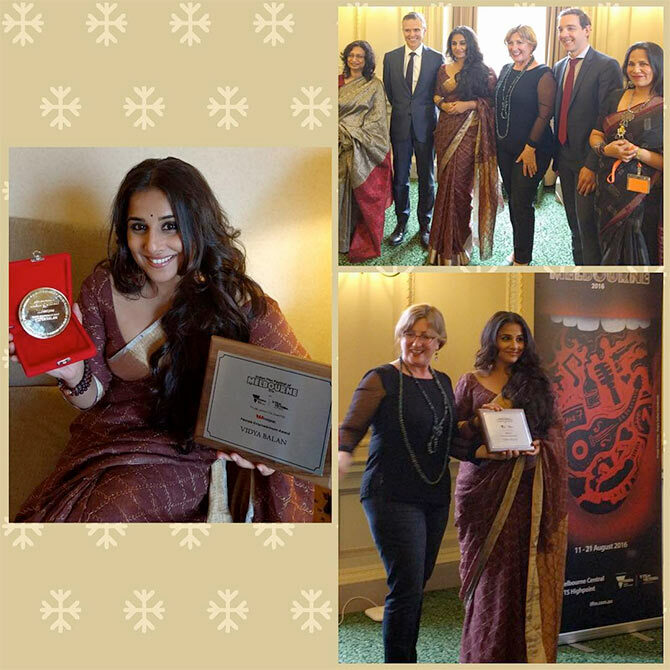 Vidya Balan received an award in Melbourne, Australia for her contribution to women empowerment. Balan will next be seen in Srijit Mukherji's Begum Jaan. When Saif wore Rishi Kapoor's sweater!